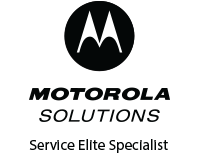 We are proud to be a Motorola Solutions Manufacturers Representative. This allows us to provide sales to State & Local Government Agencies. with other devices by simply aligning the blue dots. 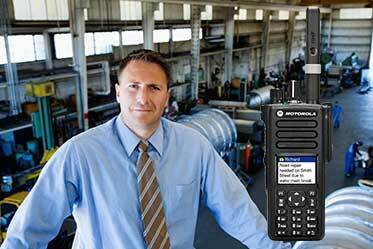 Providing Wireless Communication Solutions In Delaware and the Mid-Atlantic Area Since 1991. From the creation of Delmarva Communications we have strived to earn the respect of Motorola and our customers. We continue to grow our company and our place in the communications industry by staying focused on our customers needs to help make their business a success. Track your vehicles, plan optimum routes and safe fuel. Fleet management is all about improving the efficiency, managing cost, complying with government legislation and more. 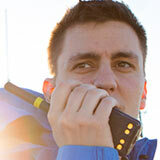 Find out more about our integrated MOTOTRBO GPS Apps. 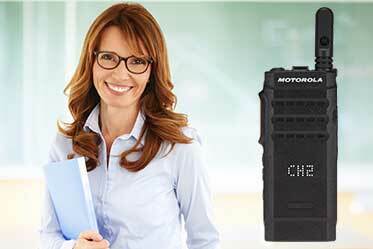 Extend the power and reliability of your MOTOTRBO digital two-way radios with the only complete line of tested, and certified Motorola Original Accessories. Check out the latest Bluetooth accessories from Motorola Solutions, including the new long-range speaker mic. With options designed for both mission critical and non-critical use, this portfolio of dispatch and desktop consoles has the features you need to make quick decisions, mobilize a fleet or keep teams informed. Functionality and reliability are integral to all of our dispatch solutions. Delmarva Communications serves and provides support for industries such as Industrial, Public Safety, Law Enforcement, Security, Healthcare, Education, Public Utilities, and Construction within the State of Delaware and surrounding states. As we continue to build our status with Motorola; we were awarded as a Motorola Service Partner for providing support for Motorola products. 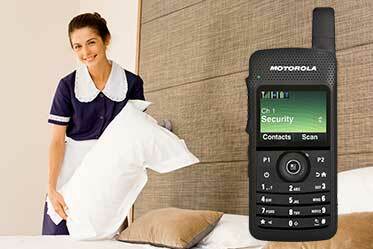 We are also a Motorola Manufacturers Representative allowing us to provide sales to State & Local Government Agencies. We are committed to our customers and we are very excited with recently celebrating our 24th Anniversary, with a renewed commitment to “Customer Focus” to help make your business a success!